Welcome to WARN, the Weather Amateur Radio Network. We are the Cincinnati, Ohio chapter of the nationwide organization, Skywarn. WARN is charged by the Wilmington, OH office of the the National Weather Service to collect and relay severe weather reports from Cincinnati area hams to the NWS. Our net control point is located at WLW radio. We use a combination of 2M and 70cm voice radios to perform net functions. 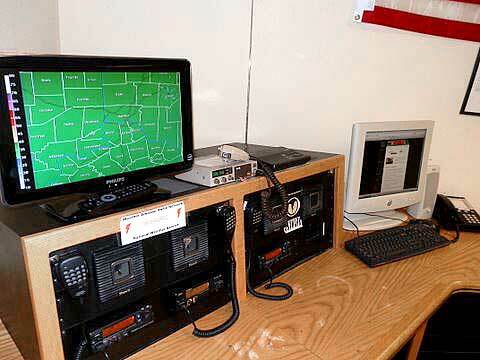 All operations from the net control point are conducted using the call sign W8NWS.